To celebrate our FIRST BIRTHDAY we are holding a Challenge for any Birthday event or any celebration – your interpretation. Please write in your notes WHAT THE CELEBRATION IS ABOUT – thank you. Image MUST be accepted and in the group gallery before voting. Any not in will have to be removed. Your choice of how you see birthday or other celebrations. There are not many in the gallery at the moment so the start of this challenge will be delayed for two weeks to give you all time to pull pictures from your own archives. 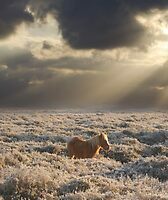 Pony in a frosty dawn, Hampshire, UK by Chris Balcombe was voted the most popular entry in this challenge with 4 votes.